I have the most wonderful boyfriend in the world! A Nintendo DS Lite! 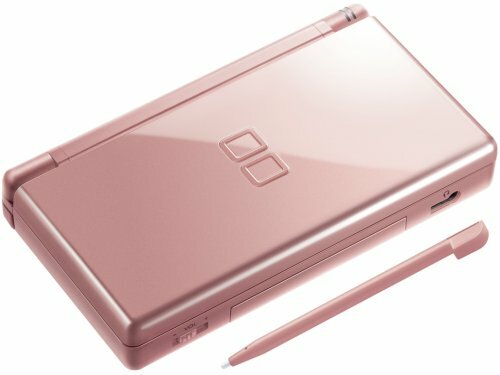 I've wanted one for ages, ever since last year when I knew about Cooking Mama. It has always been a want, not a need, & I didn't have the heart to spend so much money on it. But I coveted it, going to a game store in AMK a couple of times just to ask about it. So I did just that yesterday, making enquiries about the Nintendo DS Lite. But when told the price tag, I was hesitant as I already have an iPod (birthday gift from the boyfriend too), & I couldn't bear to spend that money. Additionally, my wallet has fallen apart & I wanted to save up for a good one. I checked with a second game store, one that we seldom frequent, & even though theirs is slightly cheaper, I still couldn't bring myself to spend that money on an indulgent item. I then went to the bathroom, & Daryl must have sneakily placed his order for it. But him being a silly goose, he didn't realise that his wallet was with me. We watched Monsters vs Aliens (which is really cute, btw, but that's another post altogether), & he said after that he needed to go to the game store to purchase some HDMI cables. So I followed him (& suspiciously, he went to the game store we seldom frequent) & tada, the sales girl promptly brought up the set & placed it on the glass top. SO SWEET LAH. He chose Baby Blue (since I commented previously that I liked the colour) but I changed my mind & picked Metallic Rose instead. It's gorgeous! :D & he's so sweet! He bought it for me just because, & it wasn't even any special occasion! I'm still fiddling with it, trying to figure out the functions & all.